Today we see how to optimize the Samsung Galaxy S9 and S9 Plus battery. 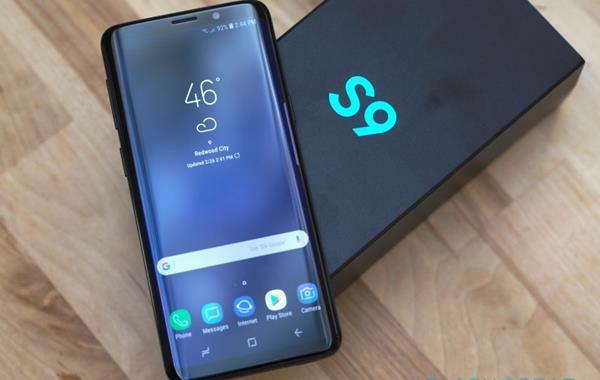 Before you can see how to do it, we also recommend reading the excellent guide that explains How To Use Samsung Smart View On Galaxy S9 &amp; S9 Plus For Screen Mirroring. The top of the range of the Korean company offers two very useful functions regarding the optimal management of the charge. In particular, they are equipped with an intervention mode that optimizes performance by sending all the Android applications you do not really need to stand-by. Relying on the phone settings, in the Device Management section, you can intervene by a simple click on the Optimize now button, which will intervene immediately on the various apps in the background freeing up a lot of resources and memory. If you do not have the time or simply do not want to proceed via the full path our advice is to create a convenient Widget in Home for faster access to the function. See also Samsung Galaxy S9 vs Galaxy S9 Plus: Which is the Best Galaxy? Another good solution to be able to greatly improve the autonomy of your smartphone is to reduce as much as possible the resolution of the screen and the speed of the microprocessor clock. Acting in this world you will earn many hours of time without going to sacrifice performances. Using the path: Settings> Device management> Battery, select the desired energy saving mode and from here change the settings to define the display resolution, processor speed and possibly also the brightness and activation of the Always on Display mode. Optimizing the Samsung Galaxy S9 and S9 Plus battery is not difficult, is it?